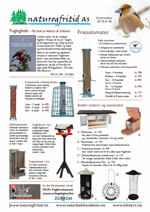 Bok om pingviner - pingvinbøker fra Natur og Fritid. A look at the natural history of penguins — an enduringly popular and fascinating group of birds.This book covers aspects of penguin evolution, biology, ecology and socio-biology, as well as conservation issues. It is illustrated with beautiful line drawings and black and white photographs, and has a full-colour photographic section.